However, a few things revealed later in the series (or which are exclusive to the manga, but uncontradicted in the TV series) are referenced in this profile, in order to give it depth. The most notable instance is the death of Makoto’s parents, which is only hinted at in the anime. 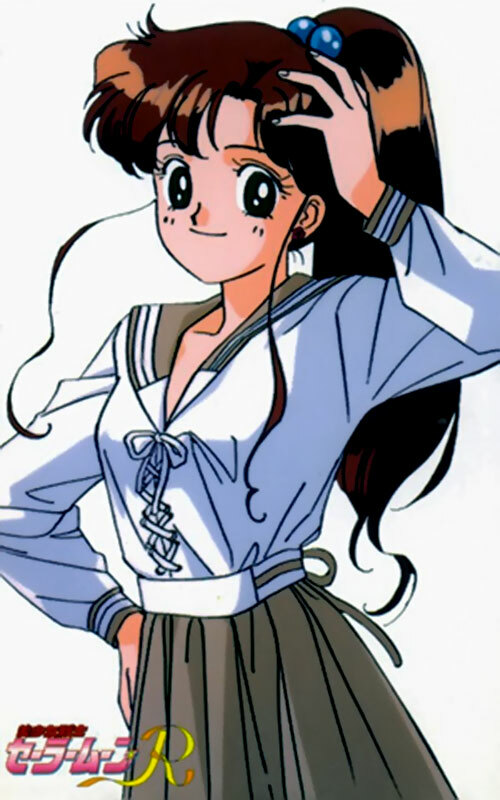 In normal form Makoto Kino is an exceptionally athletic young lady, has had extensive training in kung fu. In Sailor Moon S, a season which takes place about a year after “Classic”, she’s definitely a black belt, although she may be a lower grade one at this point. She is stronger than most men. In her debut episode, she actually lifts a youma above her head and tosses him a fair distance with little effort. She’s also an outstanding cook, a skilled dancer, and a good enough ice skater to rival an Olympic gold medalist. Superhuman strength (for a girl her size and age, but note that because she’s much stronger than the others in normal form, her Senshi form is stronger than theirs, as well). Superhuman agility and toughness (as well as greatly enhanced fighting ability). This signature attack, Supreme Thunder, is a powerful bolt of lightning. It should be noted that the Senshi Team Attack quite a bit, combining each other’s signature attacks for greater effect. The senshi also appear to become a good deal more noticeable when in Senshi form, and are urban legends in Tōkyō. When Makoto Kino was still a child, her parents died in an airplane accident, leaving her a large sum of money. Given her…extreme reactions to airplanes in the manga, it’s possible this happened before her eyes. It’s uncertain who raised her after this, but by the beginning of the series, she is 14 years old and living alone. At some point prior to the series, she fell in love with an older student at her old junior high school. She appears to have had a brief relationship with him before he broke up with her, telling her bluntly that he didn’t like tall girls. This has had some lingering effects on her psyche. She first encountered Usagi Tsukino (aka Sailor Moon) after saving her from a small gang of punks. Later, when Usagi saw her at Juuban Junior High school, she was told that rumor had it that Makoto had transferred from her old school due to getting into a fight with another student. It’s never revealed if this is true or not. That rumor, as well as Makoto’s size and somewhat reticent demeanor, made the other students afraid of her. However, Usagi smelled the delicious lunch Makoto had made for herself, and immediately befriended the lonely girl. Although Makoto’s parents died when she was still just a child, at the age of 14 she lives alone in a fairly decent apartment, with no guardian in evidence. We see no evidence of her having a job either (aside from occasionally part-timing it at the Hikawa Shrine). Several fan theories exist about how she can swing this. The most likely (and the one used here) is that she inherited a great deal of money from her parents. In this hypothesis she was raised by more distant family members until she decided she could live on her own and moved to Tōkyō. Other, more crazy theories include that she’s secretly engaged or married (! ), and supported by her beau’s family, or that she’s a prostitute (!!). As Usagi was showing Makoto around the neighborhood, they stopped off in the Crown Game Center. There Makoto met Ami Mizuno and Rei Hino (Sailors Mercury and Mars respectively), and encountered the man known as “Crane Game” Joe, a man with strange telekinetic powers. She instantly became infatuated with him. Following him from the arcade, she came upon Zoicite, general of the Dark Kingdom, attacking Joe. It seems Joe was the human reincarnation of one the of seven Great Youma of the Dark Kingdom, as well as the carrier of the Red Rainbow Crystal, a fragment of the Silver Crystal of the Moon Kingdom. Makoto, of course, had no idea about any of this. She merely saw Joe being attacked, and lashed out at Zoicite in order to protect him. The powerful supernatural being easily dodged her blows, until Makoto threw one of her earrings at him in a feinting maneuver. Zoicite dodged right into her fist. He would have killed her on the spot for that alone, but Usagi and Luna (Usagi’s guardian cat) showed up, and Zoicite decided to wait to collect Joe’s Crystal. After Makoto followed Joe some more (and offered to be his bodyguard), Zoicite showed up again. This time he blindsided her. While Zoicite was distracted, Joe managed to run away, forcing Zoicite (and Makoto and Usagi) to pursue him. When Zoicite finally caught up to Joe, he tore the Crystal from Joe’s chest, transforming him into his Youma form. 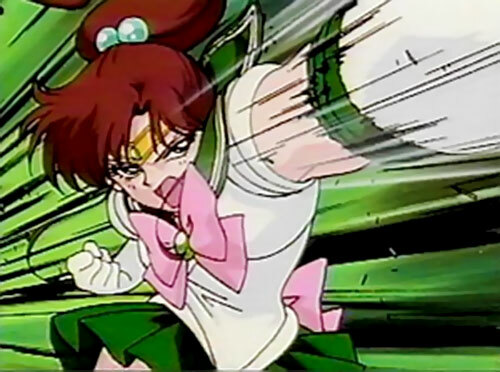 Usagi (as Sailor Moon) confronted him, but the fight went badly and she tried to escape. Makoto, enraged, (“How dare you! I’m a big fan of Sailor Moon!”) picked up the Joe-youma and threw him, stunning him briefly. 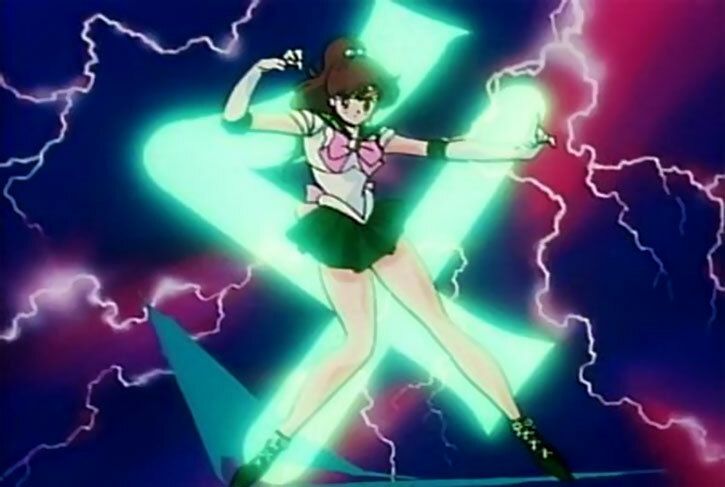 Luna, seeing the mark of Jupiter appear of Makoto’s forehead, realized she was Sailor Jupiter, and gave her a transformation pen which Makoto quickly made use of. Jupiter was able to subdue the Joe-youma with her lightning, and Usagi restored him to humanity with her Moon Stick. Afterwards, Makoto encountered Motoki Furuhata, the manager of the Crown Game Center, and fell head over heels for him. Jupiter fought alongside the other Senshi until she met her end during their siege on the Dark Kingdom’s base at D point in the Arctic. 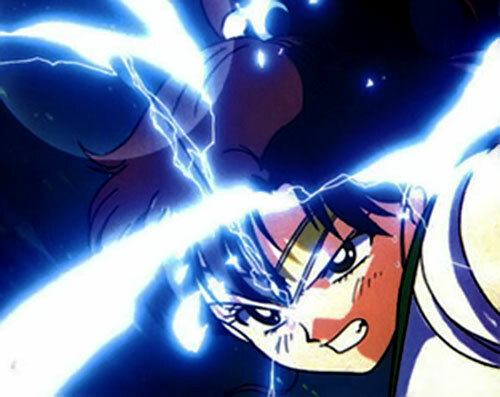 There an illusion of Motoki, cast by one of the “DD girls” (a youma group), caused her to hesitate long enough to be caught and electrocuted badly by the sadistic creatures. Using all her strength (and exhausting her Hero Points ) she managed to create a powerful enough electrical burst to incinerate 2 of the youma before succumbing to her injuries. 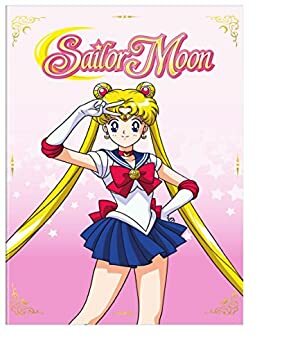 When Sailor Moon used the Silver Crystal to defeat Queen Beryl/Metallia, restore herself, the Senshi and Tuxedo Kamen to life, and to remove all memory of the Dark Kingdom from humanity’s memory, Makoto was able to re-assume the life of a normal teenage girl. Makoto is a pretty teenager with auburn hair (which she usually keeps in a pony tail, tied with green beads) and green eyes. She wears pink rose earrings in both forms. She wears a different school uniform than the others because Juuban Junior High doesn’t have one in her size. The most notable thing about her appearance is, in fact, her size. At 5’7” she is much taller than the average Japanese woman (and stands head and shoulders over almost anyone her age). She has a somewhat larger, more muscular (though still feminine) frame. This makes her somewhat heavier than she appears, although she’s not at all fat. 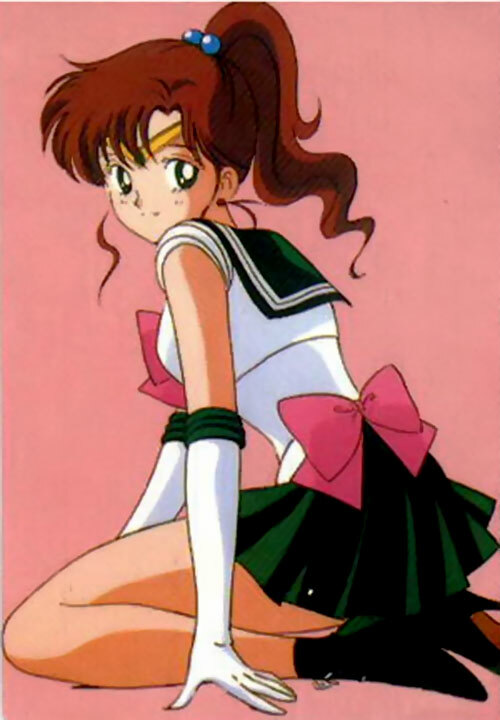 As Sailor Jupiter, she wears a sailor fuku with a short green skirt, and light pink bows on her chest and lower back. She also wears a green choker, laced green ankle boots, and white elbow gloves with green elbow pads. Her usual rose earrings and a tiara with a green jewel complete the outfit. Makoto is largely a grounded, practical person. Her name translates into “Sincerity/Faithfulness of Wood”, and this is quite apt to her stable, gentle, supportive, and straightforward personality. She is well aware of her height, and is rather self-conscious about it. She enjoys (and excels at) sports and martial arts. She also throws herself into stereotypical feminine pursuits such as cooking, ballet, and ice skating, in an effort to affirm her femininity. Her best class is, in fact, Home Economics. Having been something of an outcast most of her life, due to her intimidating height, Makoto tends to be a bit quiet and introverted, but will stand up for those who need help. Makoto has a slightly rough way of speaking, particularly when irritated. While not exactly “book-smart”, she’s smart enough to have practically raised herself. She has a good deal of common sense, particularly when it comes to “people problems”. She has a “big sister” personality that makes her good at giving advice. As for personality flaws, she has a tendency to be highly impulsive, charging into danger when others hesitate. This had lead her to take some rather drastic actions like attacking the Crane Game Joe-youma before getting any powers, or taking on the Metallia-controlled-and-empowered Prince Endymion by herself. She also occasionally forgets her own strength. 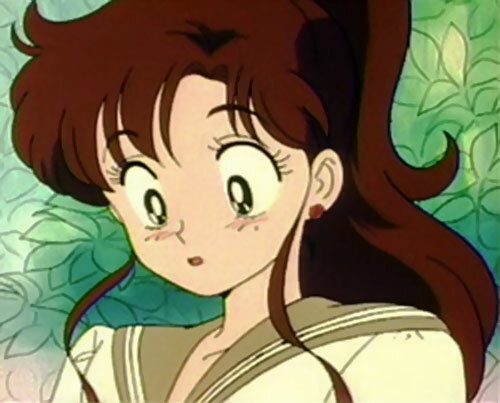 She once sent poor Ami to the ground with a friendly clap on the back, and nearly strangled Mamoru in her excitement when he mentioned Motoki’s girlfriend was leaving the country. Thanks to her ex-boyfriend, she has a habit of falling for older, usually inaccessible, men who remind her of him in some way. She occasionally has to invent a connection, though. While in love, she acts like any other infatuated teenager, dippy and lightheaded. When these crushes inevitably end, she bounces back fairly quickly. She does, however, maintain a crush on Motoki Furuhata, the manager of Crown Game Center through the end of the series. 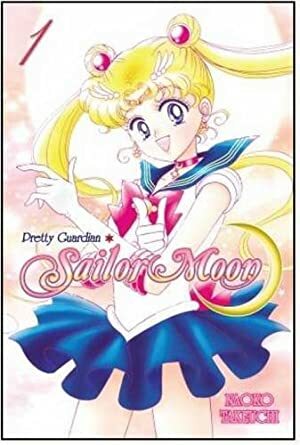 She gets along well with all the other senshi, particularly Usagi and Minako (with whom she shares bad luck in romance). In a campaign without Sailor Senshi, Makoto would make an excellent street-level sidekick, or even a minor plainclothes teen hero. Lightning Reflexes, Local Hero (Tōkyō), Scholar (Cooking). Alter Ego: Makoto Kino (Controllable), MIA (Handsome, slightly older men), MIA (Proving her femininity) (See “Personality”), MIF of Airplanes, Secret Identity. Age (Young), Alter Ego: Sailor Jupiter (Controllable), MIA (Handsome, slightly older men), MIA (Proving her femininity) (See “Personality”), MIF of Airplanes, Secret ID. Transformation Pen [BODY: 01, Insta-Change]: Allows transformation into Sailor Jupiter.